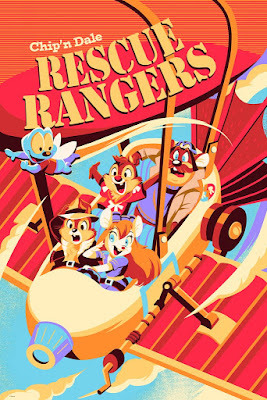 Last month Gallery Nucleus and Cyclops Print Works presented “An Art Tribute to Disney Television Animation”, which celebrated Disney’s TV glory days known as the Disney Afternoon! As part of this art show a number of killer, officially licensed prints were released, including this fun Chip ‘n Dale Rescue Rangers poster by Hackto Oshiro. Just look at all that excitement Chip, Dale, Monterey Jack, Gadget Hackwrench and Zipper are having! 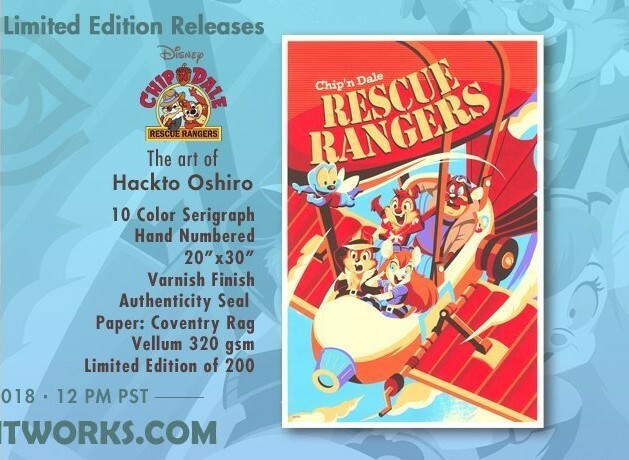 Chip ‘n Dale Rescue Rangers by Hackto Oshiro is a 20”x30” hand numbered 10 color Disney Afternoon screen print on Coventry Rag Vellum 320 gsm. Limited to 200 pieces, fans can purchase this print now at the Cyclops Print Works online store for $65.